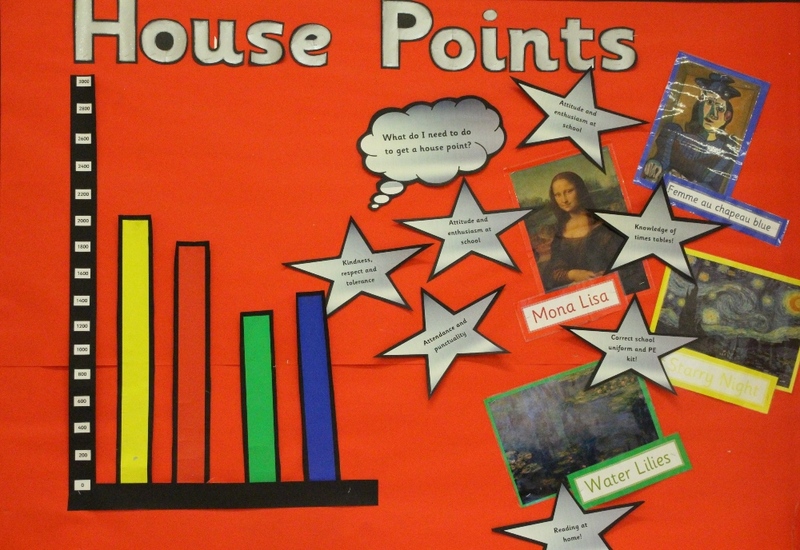 At Star we implement a House Points system so that children have a further sense of belonging and an understanding of what it means to achieve rewards which contribute to the greater good of the group. Children are placed into one of four houses, based on famous artist. EYFS children learn to associate a particular colour with each of the houses. At the start of each academic year, house captains and deputy house captains are selected from Year 6 to represent each house. Children are awarded house points by members of staff for promoting the key values of the school. We place a high emphasis on perseverance in reading and knowledge of times tables, correct school uniform and PE kit, academic achievements, attitude and enthusiasm towards school, attendance and punctuality, kindness, respect and tolerance.